It's fall y'all and we just skipped right into cold temperatures. It's going to be 39 degrees tomorrow. Brr! Hopefully, we can get some average temps real soon instead of this cold rain. Our weather feels like it's mid-November, not the average 60's that we should have. Nevertheless, I hope to be able to get outside and enjoy myself before the snow flies. Which by the way, happens tonight up North. Enjoy pumpkin spice everything. Full disclosure. I am one of those people that love pumpkin spice. I love pumpkin spice coffee, pumpkin spice cereal bars & muffins, pumpkin spice candles, you name it, I love it! I realize some of you may not but I go all out and stock up on pumpkin spice everything. Bake fall breads. One of my favorite thing to do in the fall is bake bread. But I'm not talking about your regular white bread here. Oh no girlfriend, I'm talking about Chocolate Chip Banana Bread and even Pumpkin Chocolate Chip Bread. Another favorite of mine is apple bread. Be sure to check out my delicious recipes too. Go for a fall walk and enjoy the fall leaves changing color. Our temperatures have gotten really cold lately and I'm hoping that little get a little bit warmer so I can take a fall walk around the neighborhood and enjoy the fall foliage. Decorate for fall. 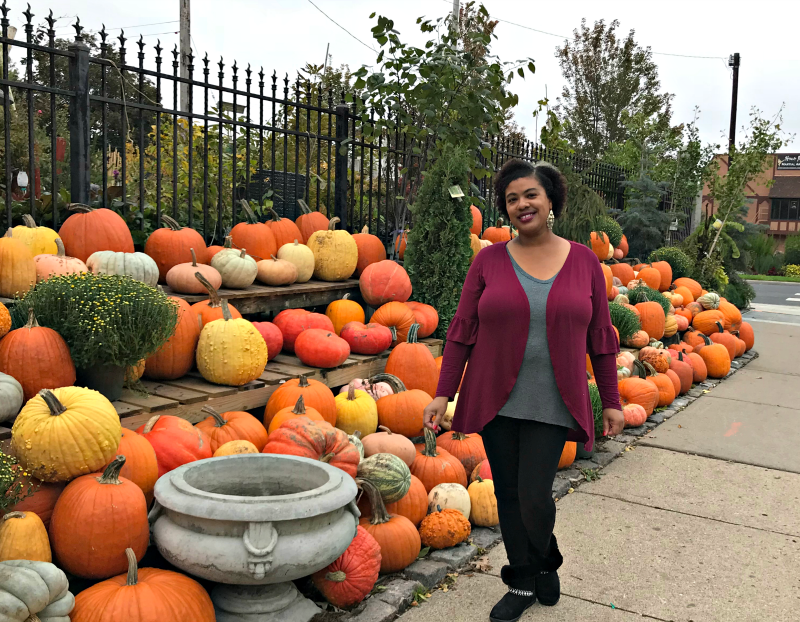 When it comes to fall home decor I'm kind of a minimalist but I love to switch it up a bit and add fall decor. For me, that means using fall scented candles and fall home fragrance. Oh and I just purchased a cute turquoise pumpkin from Marshall's the other day to use as a centerpiece on my coffee table. It matches my living room perfectly. 15 Ideas for the Best Fall Ever! What is on your fall must-do list this year? Fall is the best time of the year. The weather is good, too good this year. It was 90 the other day, it will be 60 by Saturday. We have not had a chance to do the fall things because we are moving. I love doing all the fun fall activities! I can be comfortable in cooler weather making me more active doing all the festivities. I cant do the pumpkin anything I hate pumpkin but never thought to make fall breads. I am going apple picking this weekend! Going for walks in the Fall is one of my favorite things to do. The air somehow seems crisper to me.